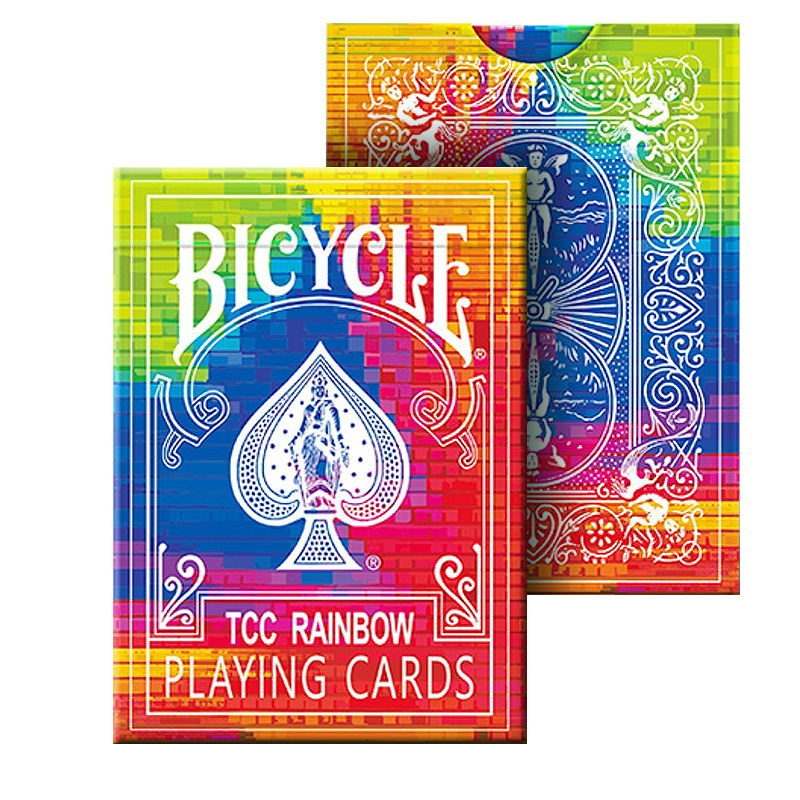 Discount Magic - TCC Rainbow Playing Cards. 54 Colorful Classic Bicycle Back plus 2 Gaff Card. Fully Customized JQKs, Fantastic for Cardistry. Printed By USPCC, Bicycle Stock, Air Cushion Finish. The cards are poker size and of the usual Bicycle quality. TCC Rainbow Playing Cards A beautiful deck!